“SOMETIMES PEOPLE JUST DON’T UNDERSTAND!" ​​​​that was released on 18th January 2019. 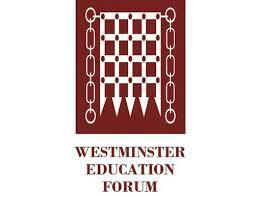 As I mentioned in my previous Update, the Westminster Education Forum held its annual conference about SEND on 6 December 2018 entitled: ‘The Next Steps for SEND Policy – High Needs Funding, Local SEND Service Provision and Improving Outcomes’.This is almost an annual event these days in the Autumn term. Although I was unable to attend it personally for work-related reasons, I did manage to obtain a transcript of the event afterwards, which has made for interesting reading, so I want to share some things discussed there with you here. There was firstly a presentation from Dr Adam Boddison, the Chief Executive of nasen, entitled: ‘Where Next for SENDPolicy in England?’. In his presentation, Adam talked about some mainstream schools being SEN ‘magnets’, as they are an inclusive school that seems to attract many children with SEN. This is both because parents wanting their child with SEND to go to that school as it is more welcoming (or more happy about their implementation of SEN support), or because other mainstream schools tend to refer to children with SEN to them. But he then also spoke about the fact that a number of these other schools also do this because they realise that if they don’t do it, they may be penalised in some way. Adam also said that, whilst the principles of the new SEND Code of Practice were quite good, in identifying and meeting all the needs, it had tried to be implemented at the time of limited budgets, schools turning into academies and changes to school assessments, so that it has probably been overshadowed. One other thing that got me thinking was when Adam made reference to Ofsted and the fact that he did not think that mainstream schools should be rated as ‘Outstanding’, if they were not inclusive. In fact, he pointed to one school now graded as ‘Outstanding’ by Ofsted, even though it had not had a SENCO in place for 5 years! Overall, he felt that, at the moment, schools are judged on a very narrow set of academic outcomes and he felt this needed to be broader. He also pointed out the fact that ‘progress’ should not merely look at academic attainment, as children with SEN may not be able to make the same academic progress as others, but the progress they were making was still very important and should be recognised. All in all, I felt that Adam’s presentation neatly set up the Conference and the other speakers who were there. There were further presentations from a member of the Parliamentary Education Select Committee, who are currently conducting an Inquiry into SEN, a presentation about joint Ofsted/CQC local area inspections and one about creating effective EHC Plans for young people with SEND (from the user’s perspective). There were also a couple of panel discussions. Most people seemed to be highlighting problems with the SEN system. However, the end of the conference had a presentation from the well-known and respected Brian Lamb, who chaired The Lamb Inquiry in 2009 looking into parental confidence in the SEN system and who is the current chair for ‘Achievement for All’. Brian’s presentation was entitled: ‘Priorities for the development of SEND provision in England’ and he started by saying that, as he had been was listening to the other speakers talk about the problems with the current system, that he had been taken back to 2005/2006 and the Education Select Committee’s Inquiry where they found that parents were really unhappy and that the SEN system was not working, because there were too many exclusions, too many Tribunals etc. Brian pointed out that, although there were still many problems, we seemed to be only focussing on the difficulties and not recognising that there had been some improvements and felt that any parents would now not want to go back to the old system. However, he did recognise that there was still a lot of work to do and that there were still a lot of Local Authorities (LAs) and schools still not doing things right. the need for LAs to ask schools for better quality of those information reports. As the end of his presentation, Brian also spoke a lot about the SEN funding system and how this had fallen over many years, whilst trying to implement a new system, particularly for the post-16 section. So, although I was unable to attend the Conference personally, I benefitted greatly from reading the presentations afterwards and I hope this helps you in the same way.